Since its original release, VLC media player has gotten a lot of attention and has become one of the most used – if not the most used – media players today. This is due to many reasons, but for the most part it is due to ease of use and the functionalities that the software offers. I can’t say how many times seeing that striped cone icon has made me happy! Last week, a new version of VLC was released – VLC 1.1.0 – and true to form, the software has received largely positive reviews. One big reason behind the enthusiasm of users for VLC 1.1.0 is the fact that it is ready for HD. VLC 1.1.0’s hardware video acceleration makes it ready to process high resolution images and offers much smoother playback. With the trend pointing to the use of HD more and more, this is a welcome development for users. Another important update added to this version is the support for WebM, which is being touted as the new standard for video. Of course, there are countless other fixes and tweaks that have been made for this release. On the flip side, SHOUTcast streaming has been removed – VLC 1.1.0 does not support this anymore. The reason behind this is that AOL was demanding that VLC bundle AOL software with the player. This included adware, mind you. It was either that or remove the SHOUTcast support. Guess what the guys behind VLC chose? In any case, the removal of SHOUTcast, while it will be missed, is not that big of an issue. The software is still free and works perfectly. 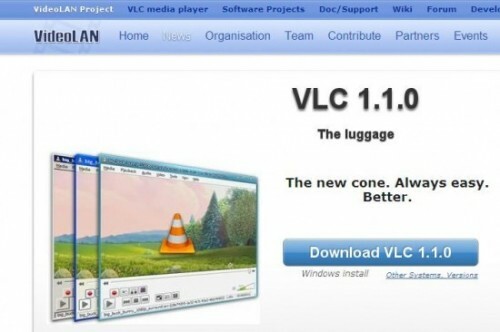 Download VLC 1.1.0 here. An MP3 file that is created using the setting of 128 kbit/s will result in a file that is about 11 times smaller than the CD file created from the original audio source but still sounds like a faithful reproduction of the original uncompressed audio for most listeners. For High Class mp3 music check our Music Collection. We hope you will enjoy the results of our efforts to collect this Massive mp3 Music Collection for our valued visitors.